Men too have delicate skin that requires special care. 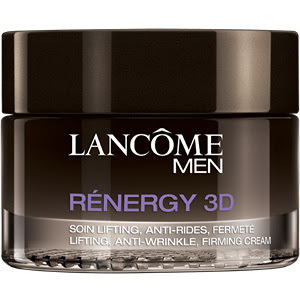 Lancôme Renergy 3D for Men is a lifting, anti-wrinkle firming cream that promises to reduce wrinkles and to energize your hubby`s skin. It is suitable for all skin types, including sensitive. Surprise him with this and he`ll thank you afterwards!